Democracy: George Soros is known for funding groups such as MoveOn.org that seek to manipulate public opinion. So why is the billionaire's backing of what he believes in problematic? In a word: transparency. Hansen even succeeded, with public pressure from his nightly news performances, in forcing NASA to change its media policies to his advantage. Had Hansen's OSI-funding been known, the public might have viewed the whole production differently. The outcome could have been different. That's not the only case. Didn't the mainstream media report that 2006's vast immigration rallies across the country began as a spontaneous uprising of 2 million angry Mexican-flag waving illegal immigrants demanding U.S. citizenship in Los Angeles, egged on only by a local Spanish-language radio announcer? Meanwhile, OSI cash backed terrorist-friendly court rulings, too. It's all part of the $74 million OSI spent on "U.S. Programs" in 2006 to "shape policy." Who knows what revelations 2007's report will bring around events now in the news? OSI isn't the only secretive organization that Soros funds. OSI partners with the Tides Foundation, which funnels cash from wealthy donors who may not want it known that their cash goes to fringe groups engaged in "direct action" — also known as eco-terrorism. "As with everything about the Democracy Alliance, the strangest aspect of this entire process was the incessant secrecy. Among the alliance's stated values was a commitment to political transparency — as long as it didn't apply to the alliance," wrote Matt Bai, describing how the alliance was formed in 2005, in his book "The Argument: Billionaires, Bloggers and the Battle to Remake Democratic Politics." Soros' "shaping public policies," as OSI calls it, is not illegal. But it's a problem for democracy because it drives issues with cash and then only lets the public know about it after it's old news. The irony here is that Soros claims to be an advocate of an "open society." His OSI does just the legal minimum to disclose its activities. The public shouldn't have to wait until an annual report is out before the light is flipped on about the Open Society's political action. This is one of the most beautiful pictures I've seen taken from space. It is of an Aurora Borealis captured in the opposite direction we are used to seeing it. 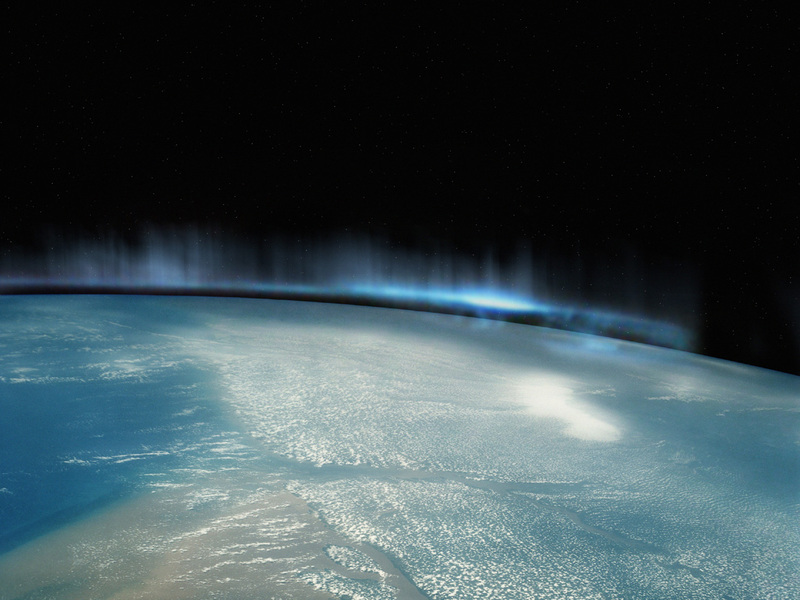 How incredible it is to clearly and distinctly see the atmosphere surrounding our planet. The Aurora Borealis is an electro-static phonomenon caused by the collision of charged particles in the magnetosphere with atoms in the Earth's upper atmosphere. Click on the thumbnail image below for the full-sized picture. Enjoy! Fred finally got into the race yesterday. I was honestly not expecting much, as his demeanor has been very subdued throughout the year, and did not show much, at least that I could see. I was pleasantly surprised by his announcement video, which was posted on his web site. Give this a listen/watch. It's about 10 minutes long (maybe a little less), so it's more than just "Hi! I'm running for President!" He does a nice liittle intro of who he is and then talks about a few issues. The surprising thing is that Fred seems somewhat inspiring. I never expected that. See for yourself. I like that he's doing this as a grass root compaign, not as a moneybags guy. He also seems to have a good IT guy, and a good web site. UPDATE: Here's a really interesting video about Federalism that Fred recorded. It's only about three minutes long.